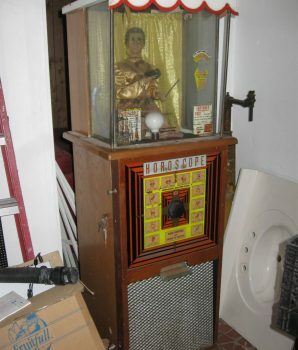 The coin-operated fortune telling machine has been a standard attraction along boardwalks and in penny arcades and amusement parks since the first years of the 20th century. 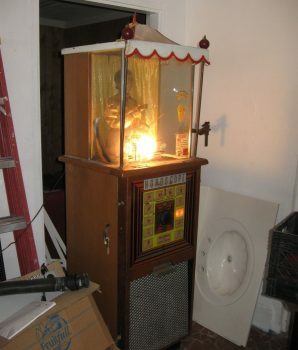 Like the smaller Genco Gypsy Grandma Fortune Teller, the Genco Gypsy Grandma Horoscope Fortune Teller is based on the earlier crank-and-spring powered Madame Zita fortune teller made by Roover Brothers of Brooklyn, New York. 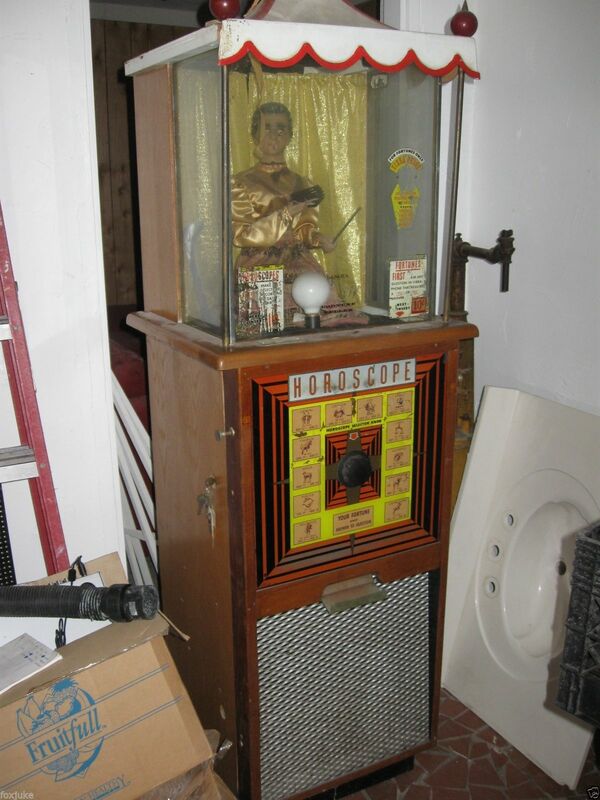 This nice example of a 1940s-50s era Genco Gypsy Grandma Horoscope Fortune Teller is an arcade find discovered in original condition. 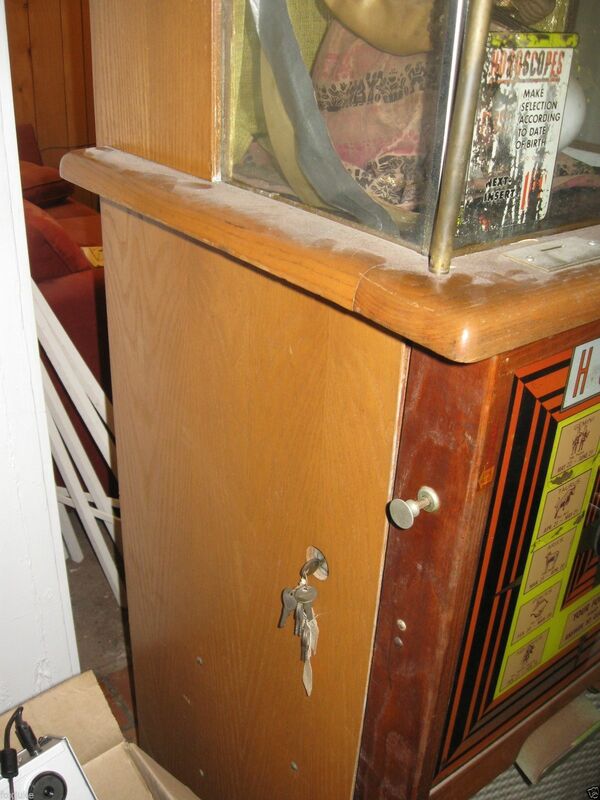 A perfect project machine, it is in overall good condition and needs only minor clean-up, a few small repairs, and some adjustments after sitting unused for over 30 years. 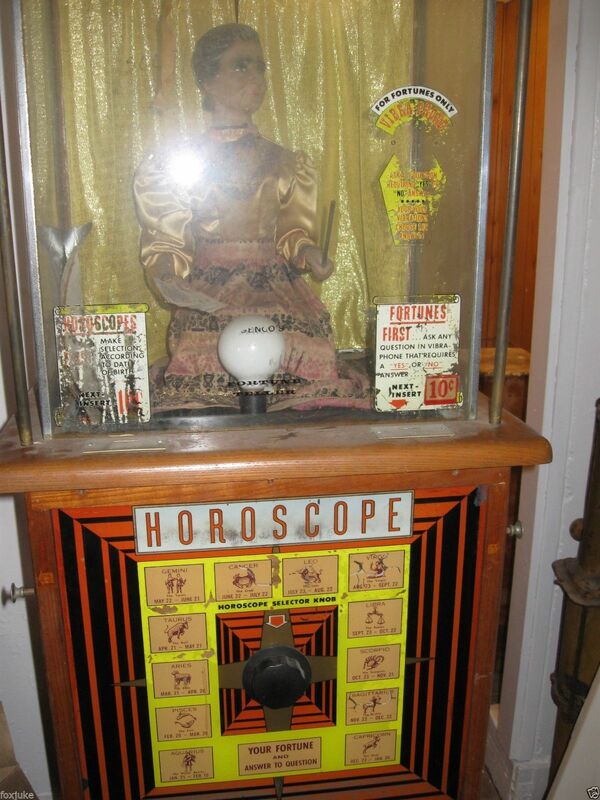 The Gypsy Grandma Horoscope Fortune Teller offers two options: the horoscope for a dime or the fortune for a nickel. Each function has an initial interactive component. 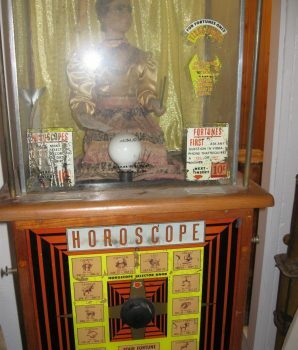 When receiving a horoscope, the user turns a dial on the front of the machine where a lighted panel displays the signs of the zodiac and associated birthdates. As the dial is turned, the selected sign lights up. With the fortune option, a sticker on the front glass panel invites users to ask their questions into a faux microphone attached to the glass. Dropping a coin into the machines activates the animation features and dispensing process, which are the same for either fortune or horoscope. Gypsy Grandma turns her head from left to right while she passes the hand of playing cards in her right hand over the white glass “crystal ball” and motions with the wand held in her left hand as a light in the ball pulses. Her chest rises and falls in simulated breathing, a small but interesting detail. As the fortune or horoscope drops to the dispensing chute, Grandma raises the cards near her face as if to look at them and waves her wand near the crystal ball. 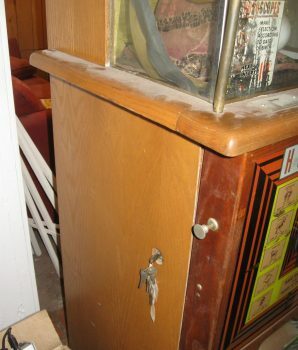 The fortune/horoscope is dispensed to a hopper centered beneath the front panel. 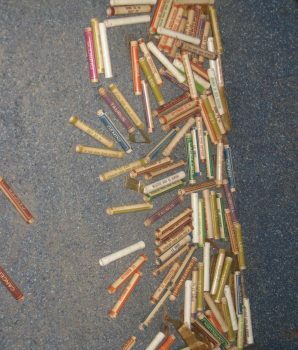 The user receives a small rolled paper scroll secured with a clear plastic wrapper, adding another interactive feature to the game experience. 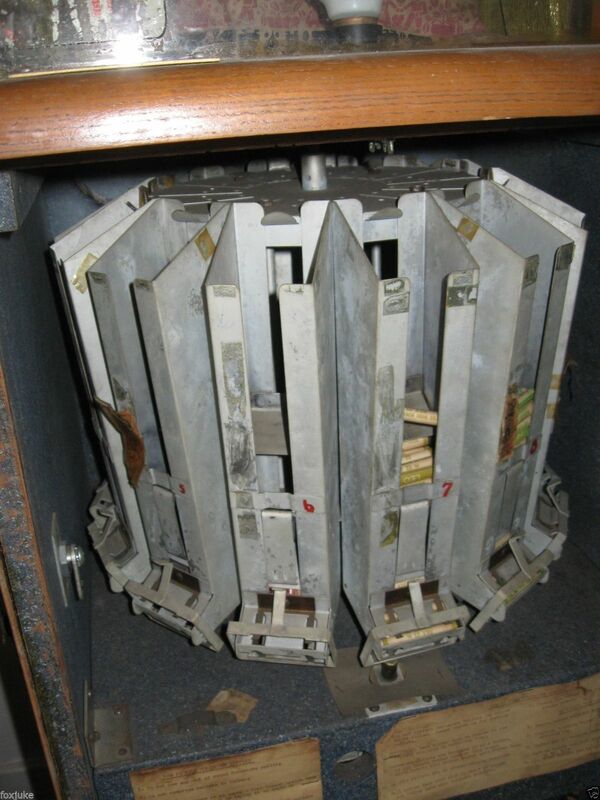 On this machine, the internal carousel that stores and dispenses the paper scrolls is in good condition, and all mechanisms are intact. 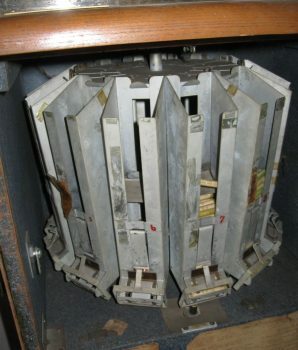 The wiring harness and mechanical components are original and unmodified. Two of the original red balls and brass attachment finials are still on the canopy. The canopy itself has some age damage, but a 15-year-old replacement canopy is included in the sale price. The cabinet is solid maple and will look great with a bit of polishing. The case lock works, and we do have the keys. 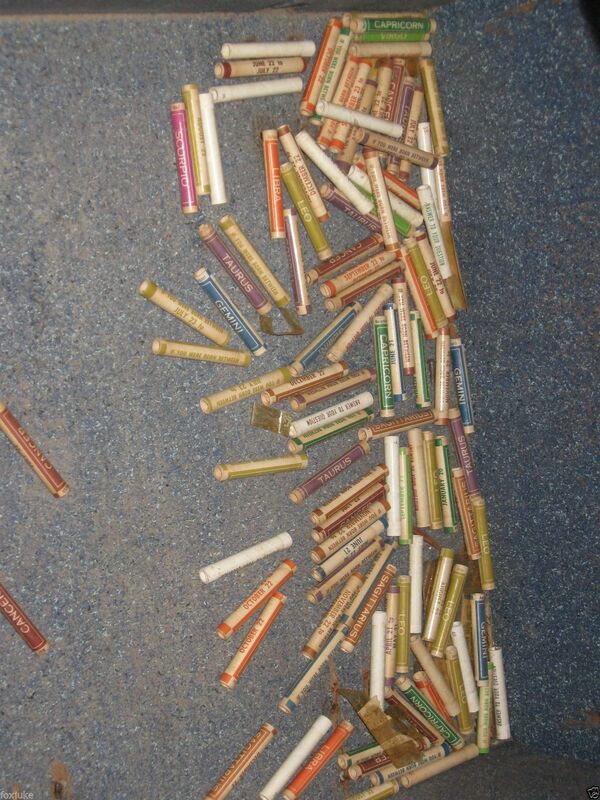 A large quantity of scrolls also comes with the machine. Original, unmodified examples of this fascinating electro-mechanical fortune teller are difficult to find. 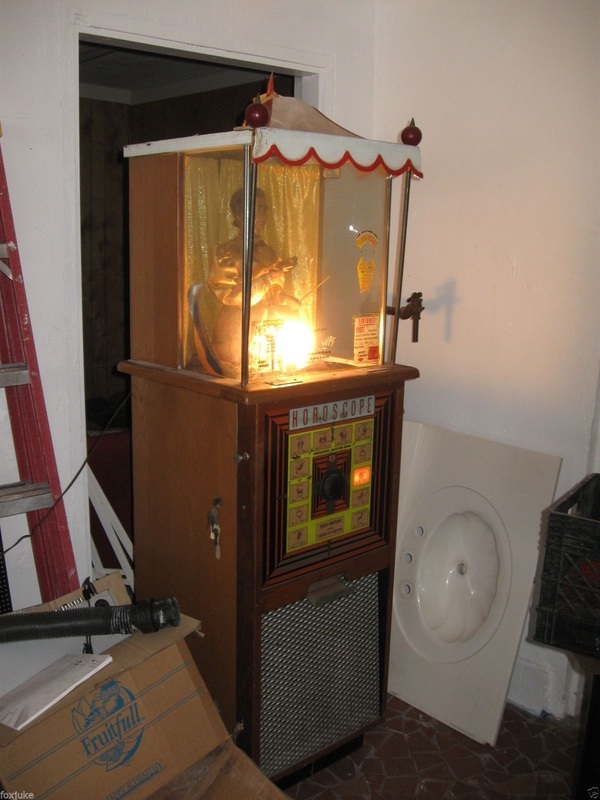 This Genco Gypsy Grandma Horoscope Fortune Teller will be an easy, interesting restoration project and a fun addition to any collection.